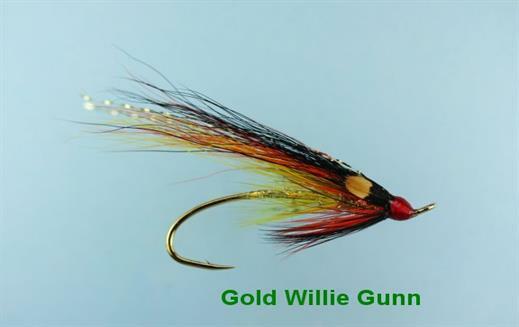 The Golden Willie Gunn is one of the classic Willie Gunn series of flies. This pattern has a distinctive holographic gold body which gives added dynamics to a proven pattern, especially in coloured water. It can be fished with total confidence throughout the season. Currently there are no comments about the Golden Willie Gunn fly pattern from other fly fishermen yet.